WINWEDGE is a data acquisition program, available from Daintree Scientific , that inputs serial data directly into any PC application. It collects data from scales and balances, gauges, pH/electrochemistry meters, laboratory instruments, sensors, densitometers, GPS receivers, barcode scanners, magnetic stripe readers, ID tag readers, telephone systems, or any RS232 device. 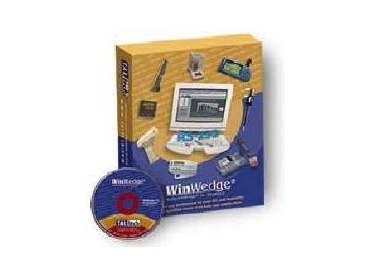 WinWedge inputs real-time data directly into Excel, Access, LIMS, MMIs, statistical and math software, VB, or any Windows or DOS application program. It captures serial data, custom tailors it to specific needs, then transfers the data to any Windows or DOS application - either by sending keystrokes to the application's window or by passing the data through DDE (dynamic data exchange) conversations.